The Meetinghouse occupied a central position in the Shaker Village and was one of the earliest buildings constructed. 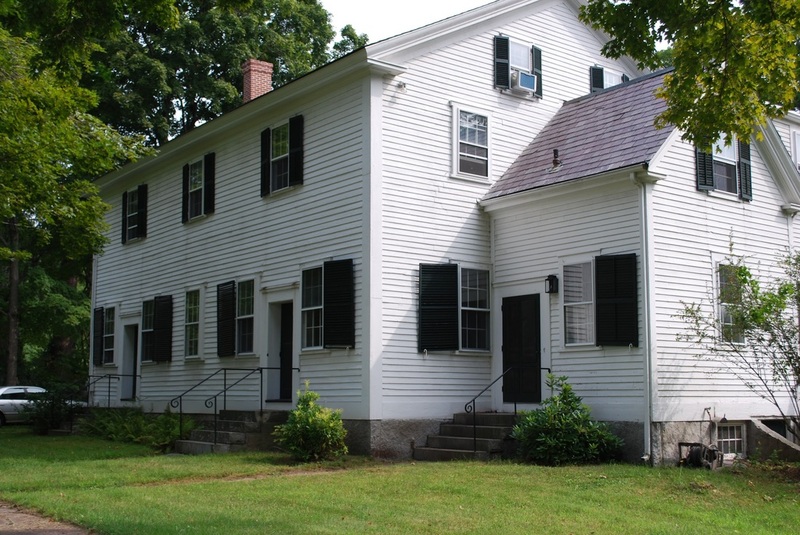 With a clapboard-sheathed exterior, granite steps, and separate entrance separated both by gender and for the elders—the Meetinghouse followed the design established by the Society. The original Meetinghouse is believed to have been designed by the Enfield Shaker Moses Johnson and built with his supervision. It is the only building attributed to a specific designer and has a similar plan and form to the ten other meetinghouses believed to have been built by Johnson. December 10 and held the first Sabbath meeting January 22, 1792.
two for men. Huge granite posts installed in the basement support the meeting room floor to withstand the vigorous dancing worship. The posts weigh as much as 2,000 pounds each. Originally the first floor was one large room. Benches used for seating could be placed around the sides of the room to clear the floor for a dancing area. When it became a residence, the owners subdivided the interior space and installed a kitchen. Visitors can see pegs in the meeting-room floor said to have marked the dancers’ positions during worship. There may have been some trapdoors in the corners of the meeting room. Stoves connected to the chimneys at the ends of the building provided heat. The upper floors of the Meetinghouse housed the Harvard-Shirley ministry, one end for men, one for women, before the Ministry Shop was built. There seem to have been both bedrooms and workrooms for the ministry, the bedrooms having built in cupboards.